ZWILLING J.A. 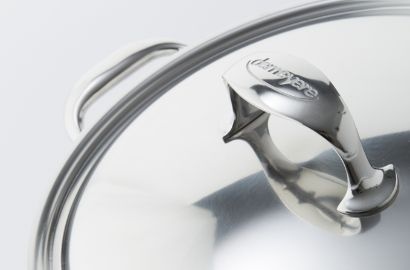 HENCKELS – THANK YOU, PETER Way back in 1731 Peter Henckels had the idea to register the ZWILLING trademark with the Cutler’s Guild of Solingen, Germany. A brilliant idea, in our opinion. Because that makes ZWILLING one of the oldest brands in the world today. And Germans are well known for their love of traditions. So thanks for that. Imagine you have a 287-year-old brand history that you are eager to share with everyone. But at the same time you are a modern, forward thinking company that is all about future cooking trends and technologies. Both are really important. Which is why we’re going to tell you about both parts separately. Let’s start with where we started. Peter Henckels registers ZWILLING as a trademark on June 13th in Solingen. ZWILLING opens its first sales outlet in Berlin. The first subsidiary is opened in the USA. 1915 ZWILLING wins four first prizes at the World Fair in San Francisco. ZWILLING is granted the patent for the "Küchenhilfe" range of scissors. Extremely robust, they are still included in our product range today. And we are proud to say that they are one of the most widely copied scissors worldwide. 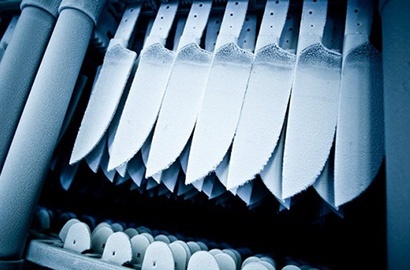 ZWILLING applies for the patent for the ice-hardening process. Ice-hardened FRIODUR® blades have extremely good cutting edge retention, are flexible, ultra-corrosion-resistant and really cool. Sorry for the pun – we just couldn’t resist. 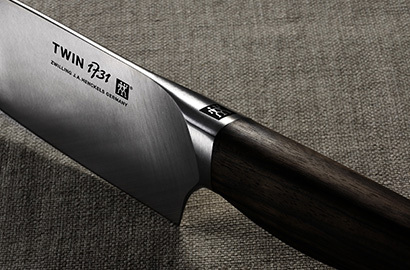 Development of the ****FOUR STAR knives – ZWILLING's best-selling chef's knife range with an iconic design that hasn’t changed in over 40 years. That’s what we call truly timeless. Development of TWIN multi-purpose scissors – ZWILLING's most popular scissors. Establishment of the joint venture in China. 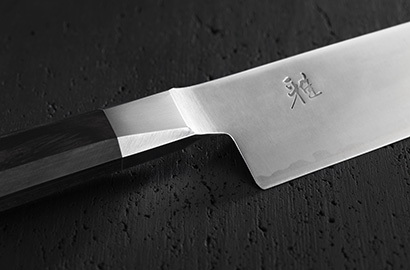 The start of an incomparable success story that made ZWILLING one of the most desired premium brands in China. Acquisition of the French cookware manufacturer STAUB. Its leading product ranges are cast-iron enamel cookware and ceramics. ZWILLING Care launches an extraordinary initiative for people with disabilities in the southern Indian town of Pondicherry. Young Indians with disabilities are helped to learn a trade and lead independent lives. Share in alessandro International, a renowned nail design brand. 2013 Acquisition of QVS GLOBAL, a manufacturer of cosmetics accessories. 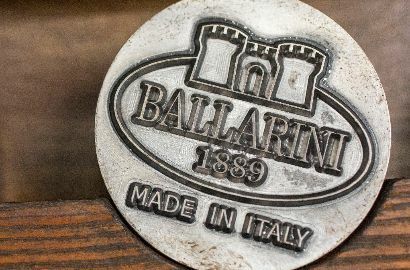 Acquisition of the Italian brand BALLARINI – one of the leading brands for nonstick cookware. Opening of the first ZWILLING Culinary World flagship store at Taikoo Hui Mall in Shanghai. Who would have thought that the small company that started with the production of high quality knives and invented the tool with the unspeakable name “Küchenhilfe“ (which literally means Kitchen-helper) would one day inspire the whole world? 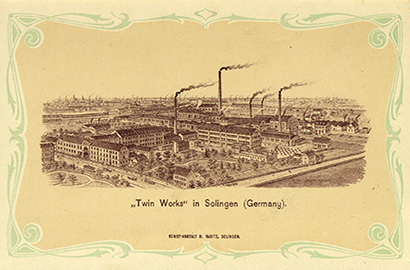 From Solingen to Berlin to New York to almost every important culinary region. 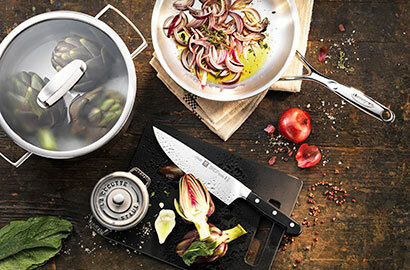 ZWILLING expanded quickly and became the specialist for the international culinary culture that you know today. MADE OF STEEL. AND PASSION. When it comes to the production of our products we are really passionate about perfection. We are only using quality materials and the most advanced technologies in their development to ensure the most durable products. The premium quality of every product is monitored throughout the whole production process continuously. But we couldn’t live up to our own standards without the skilled hands that share our passion for quality. 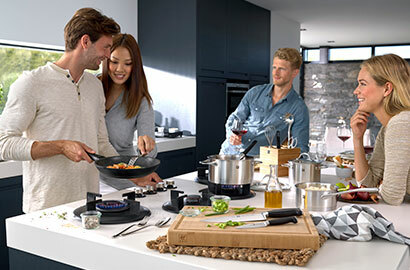 The Culinary World of the ZWILLING Group is not only home to great kitchen tools but also to great brands from all over the world like ZWILLING from Germany, STAUB from France, MIYABI from Japan, BALLARINI from Italy or DEMEYERE from Belgium. Each with different strengths and traditions but with the same passion for high quality products. No matter where you are, at some point you want to prepare something that tastes extraordinary. And while we have no idea with whom you are cooking or where you’re going to eat, we do know this: our products will inspire you and help you along the way. Maybe you think we are talking about the fact that every knife is also a piece of history and an example for extraordinary craftsmanship–and you are right. But there is more. Our shops are no longer just places where you can buy products–they now can open a culinary world of their own to the customer. A leading example is the new World Flagship Store Taikoo Hui in Shanghai, where a unique shopping experience is combined with places of exploration and discovery such as restaurants, a cooking school and a local market. ZWILLING was a family business from day one. And we are proud of the fact that this family grew bigger and bigger over the years. Today several brands are members of the ZWILLING Group. 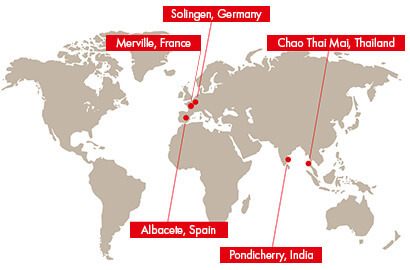 And millions of people around the globe who are using ZWILLING tools are part of the family, too. We've grown from a cutlery forge in Solingen to a worldwide company with a wide range of products for your modern-living kitchen. And we are sure: the best is yet to come. Savoir vivre–French people know how to live. 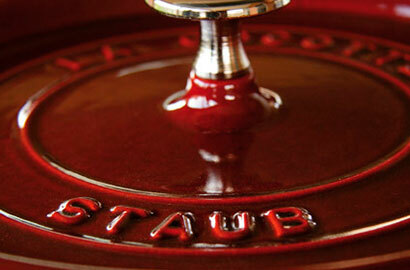 And STAUB knows how to produce authentic cast iron and ceramic cookware. Japanese artistry and German precision so intertwined that not even our sharpest knife could separate them. Want to know the secret behind one of the leading brands for nonstick cookware since 1889? Always stick to your values. And combine technology with passion, family rituals and laughter. Always the right choice when you are looking for the most advanced stainless steel cookware that meets the most demanding lifestyle. Whether you're a professional chef or just the boss in the kitchen. Since 1970 ZWILLING has belonged to the Werhahn Group. Like ZWILLING, Werhahn is a family company with a long tradition that shares our values and innovative thinking. Together we have grown even bigger and Werhahn has fueled our innovation engine. Metaphorically speaking, of course. ZWILLING Care was founded to help people that had a rough start in life. We support projects all over the world with a focus on educating, training and integrating children, young people and adults with disabilities. With continued support and long-term funding they are able to achieve more independence and social participation – throughout their entire lives. In India it is not self-evident that everyone has the opportunity to learn a trade. We wanted to change that by starting an initiative for young people with disabilities in the southern Indian town of Pondicherry. Because a job is not only a job, it’s a future. Click for more information. Money can’t buy love, but it can help you to spread love. In 2015 we came up with this sponsorship program. With this program we are not only supporting 25 disabled children during school hours, but organizing professional follow-ups and regular doctors checks and provide surgical interventions or handicapped-accessible equipment like hearing aids, toilets for the disabled, wheelchairs or whatever is needed. Click here to learn more. 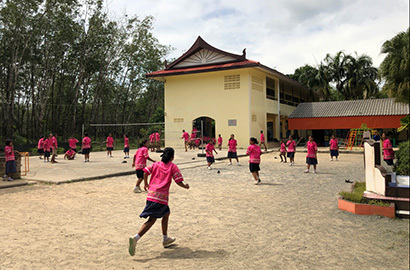 In 2004 a tsunami destroyed the Chao Thai Mai School in the Phang Nga Province in Thailand – and the chance of education for all the kids that used to attend this school. 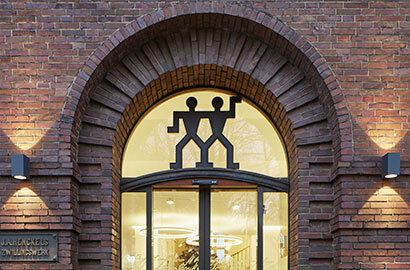 Along with the Heinecke Foundation we helped to rebuild it. Today the school is back and so is the kids’ laughter. Disadvantaged children receive targeted support. Inclusion is just a word. But as soon as you make it your everyday mission it becomes something really great. We started this mission over 20 years ago and are more than happy about the things we have achieved. 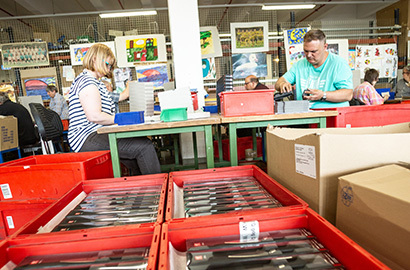 Over 70 disabled employees are part of the ZWILLING team in Solingen/Germany, about 20 young workers are included in our logisitics in Merville/France and over 50 disabled employees work with us in Albacete/Spain. And we couldn't be prouder of every single one of them. A successful company has a lot in common with a great recipe: The better the ingredients, the better the result. In the case of ZWILLING, those “ingredients“ are the people that work with us. And for the best results we add some really special “spices“. We love families. And we want our employees to see their loved ones as often as possible. Therefore we enable a balance between work and life and offer special health and sport programs. Willkommen. Welcome. Bienvenue. Velkomin. No matter where our employees come from, we are happy that they are part of our success story. Because we embrace diversity and love to work across borders. No matter if they are real or just in some people’s heads. Our employees are the best. Period. But sometimes they think that they can get even better. In this case we are happy to help. With individual career and development plans and a wide range of seminars. We mentioned it earlier, but we just can’t say it enough: our employees are part of our family. So whenever it’s possible we want to spend time together. At company events, after-work-parties or athletic activities.